Greetings everyone! We are back with our Project Update Report №13 for 03/19 — 04/17 period. In the last month, our team continued to work hard on executing Mainnet Rehearsal for our 50+ Delegates in preparation for the upcoming Mainnet Alpha release, working closely with the community in order to educate them and provide resources on how staking & voting works in our network and launching some creative and exciting campaigns for our dedicated followers 💙 We have prepared this blog in order to do a recap of our recent achievements to share with our beloved community. 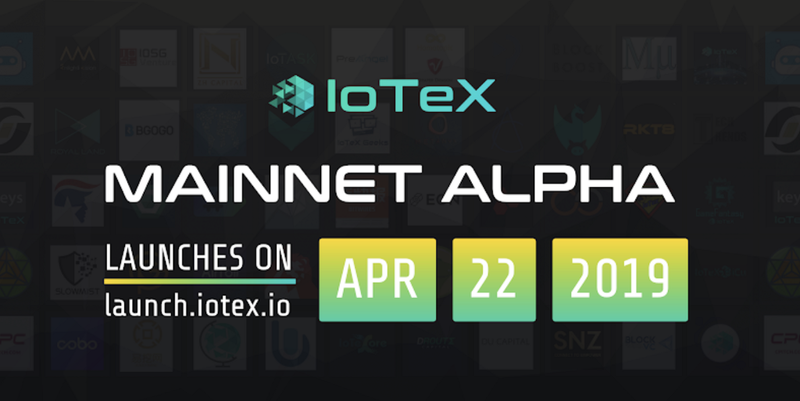 IoTeX Mainnet Alpha Countdown is ON now! Recap of IoTeX Mainnet Rehearsals!